Spark Minda, Ashok Minda Group takes a significant leap towards investment in technology leadership and creates a robust platform to emerge as a System Solution provider in the growing automotive industry. · Best in class R&D centre equipped with latest test and measurement equipment, development tool chains & environment and fully operational laboratory for supporting development of embedded software and hardware. · State of the art EMI-EMC (Electromagnetic interference & Electromagnetic compatibility) test facility to cater to complete suite of design and product validation tests. · Engineering and design office covering an office space of around 40,000 square feet which is designed to accommodate up to 400 employees under one roof. · A pool of global automotive talent with a strong emphasis on employee retention. Mumbai, 30th January 2018 : Global Automotive Component Manufacturer ‘SPARK MINDA, Ashok Minda Group’ (“Spark Minda”) led by Group CEO, Mr. Ashok Minda today inaugurated its state of the art facility – Spark Minda Technical Centre (SMIT) based at Chaken, Pune. 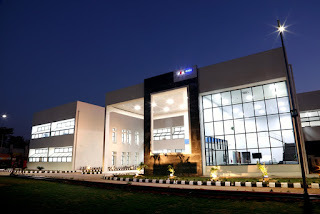 Spark Minda Technical Centre (“SMIT”) is a division of Minda Corporation Limited (NSE: MINDACORP, BSE: 538962, a flagship company of Spark Minda, Ashok Minda Group). SMIT will foster the technology development journey of the existing Group businesses and enable their initiatives towards electronification. It will also strive tostrengthen and expand the Group’s presence in automotive systems area as a complete System Solution provider. The Centre will nurture innovations to create breakthrough solutions tailored to address the market requirements. It will actively pursue opportunities in the area of new generation technologies like Connected, Autonomous, Electrified Mobility Solutions, Body Control and Multi-function Controllers, Smart Security and Vehicle Access Solutions etc. It would also explore incubation of future technologies like Deep Learning, Artificial Intelligence, Internet of Things, Smart Vehicles technologies, Prognosis and Diagnosis etc. In essence the Centre would be a prime example of “Powered by Passion” spirit of the Group, creating a vibrant work environment which thrives on passion in engineering and technology. Mr. Suresh D, Group CTO and CEO, Spark Minda Technical Centre said, “It is indeed a proud moment for the Group to establish such a state of the art Centre catering to the vision towards becoming the technology leader and System Supplier. We are bringing focus to our journey by redefining our thought process and strategy with global mega-trends in Automotive Subsystems viz. Connected, Autonomous, Shared and Electrified Mobility. The young and vibrant work-force stimulated by the culture of innovation at our Centre has already started showing results”. Spark Minda, Ashok Minda Group’s legacy goes back to 1958 when the first operation was set up in India. Today, 60 years later, Spark Minda has 35 manufacturing facilities world-wide, and provides direct employment to more than 16,000 people and indirect employment to several thousands more. Over the past few years, Spark Minda, Ashok Minda Group has done strategic acquisitions in Germany & Poland along with green-field projects in Indonesia, Vietnam, Uzbekistan and Czech Republic. Our recent endeavours include; setting up a new manufacturing facility at Mexico, besides acquisition of EI LABS India Pvt. Ltd. which will further enhance our Group’s expertise in Connected Mobility and IoT Solutions. We also plan to inaugurate a new green field, Die Casting facility at Pune which is coming up shortly. designing and manufacturing namely; Stoneridge of USA, VAST of USA, SBHAP of China, SILCA of Italy, Furukawa of Japan & UzAvto of Uzbekistan as our JV Partners. We are privileged to serve global players such as VW Group, BMW, Daimler, Ford, Nissan and so on. In India, our prestigious customer names include the leading OEM’s such as Mahindra, TATA Motors, Ashok Leyland, Honda, Renault Nissan, Maruti Suzuki, Bajaj, Yamaha, TVS etc. Our growth oriented initiatives and relationship with some of the most reputed OEM manufacturers have enabled us to report strong growth over the year.